The United States and India will seek to finalize a number of defense agreements during high-level talks this week that aim to draw their two militaries closer and counter-balance China’s influence in the region. U.S. Defense Secretary Jim Mattis and Secretary of State Mike Pompeo will hold talks with India’s Foreign Minister Sushma Swaraj and Defence Minister Nirmala Sitharaman for the so-called two-plus-two discussions. 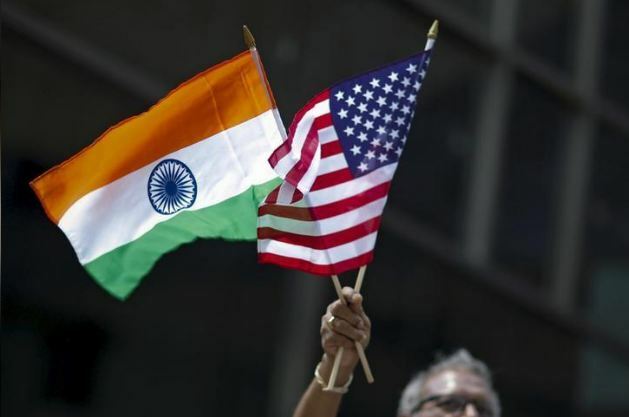 Already canceled twice this year, it is the highest level of dialogue between the two countries and was agreed upon by U.S. President Donald Trump and Indian Prime Minister Narendra Modi last year. Officials and experts believe that the meeting is not only symbolically important, but will give the world’s two largest democracies a chance to make concrete progress while ironing out significant differences, including over India’s ties with Russia and Iran. “The 2+2 presents an historic opportunity to develop our growing partnership and to explore ways of enhancing our security cooperation,” the top U.S. military officer, Marine General Joseph Dunford, told reporters traveling with him to the talks. The talks will be held on Thursday. The United States and India have increased defense ties over the past decade, in part because of mutual concerns over an increasingly assertive China. India has been alarmed at China’s expanding security and economic links in South Asia. The nuclear-armed Asian giants were locked in a 10-week military stand-off last year in a remote, high-altitude stretch of a boundary in the Himalayas. Earlier this year, the U.S. military renamed its Pacific Command the U.S. Indo-Pacific Command, a move underscoring the growing importance of India to the Pentagon. Among the topics for discussion, the United States is hoping to finalize an agreement on a communications framework that would allow for securely sharing information. The Communications Compatibility and Security Agreement (COMCASA) has long been a demand of the United States and would open the door for Washington to sell sensitive defense equipment to India, like the armed version of Guardian drones. India has historically been opposed to the agreement because it sees it as being too intrusive. Earlier this year however, an Indian defense source told Reuters that New Delhi had shed its opposition to the agreement. “That would be a big deal, if that announcement comes out of this… in terms of advancing the interoperability, that would really be a kind of big next step,” said Alyssa Ayres, a former U.S. State Department official and now a senior fellow at the Council on Foreign Relations. The two sides are also negotiating another agreement, a Basic Exchange and Cooperation Agreement (BECA), which would enable them to share advanced satellite data for navigation and missile targeting, Indian military sources said. The United States is keen to tap into India’s large defense market. It has emerged as India’s No. 2 weapons supplier, closing $15 billion worth of deals over the last decade. A senior U.S. defense official, speaking on the condition of anonymity, said the two countries were looking at a carrying out a major joint exercise – involving troops on land, at sea and in the air. Further details were not immediately available. The two countries hold elaborate navy-to-navy maneuvers, air exercises and even drills involving Special Forces, but war games involving all three arms represent a scaling up of defense cooperation. Despite the optimism, U.S. officials acknowledge that the two countries will also discuss significant disagreements. “India wonders about the coherence of U.S. strategy and worries the U.S. is pursuing policies inimical to key Indian interests like its continued dependence on Russian military hardware and Iranian oil,” said Sameer Lalwani, co-director of the South Asia program at the Stimson Center think tank in Washington. The United States is concerned about India’s planned purchase of Russian S-400 surface-to-air missile systems. The United States has imposed sweeping sanctions on Russia, under which any country engaged with its defense and intelligence sectors could face secondary U.S. sanctions. However, a new defense bill gives the president the authority to grant waivers in case of national security interests. Schriver, from the Pentagon, said there was no guarantee India would get a waiver if it bought the Russian system but was open to speaking with India about providing alternative systems. India has nearly concluded commercial negotiations with Russia for the missile systems and intends to proceed with it as part of its defenses against China, a defense ministry official said. For months, the two sides have been aiming to reach an agreement on the deal before Russian President Vladimir Putin’s visit to India, planned for early October for annual summit talks. The United States is also pushing countries to halt oil imports from Iran after Trump withdrew from a 2015 deal between Iran and six world powers. India, Iran’s top oil buyer after China, has so far not decided on the size of any cut to Iranian imports and continues to seek a waiver from the United States. U.S. sanctions on Iran’s energy sector are set to be re-imposed after a 180-day “wind-down period” ending on Nov. 4. “I think we need to sit and have that very open, candid, sober dialogue and see where we come out the other side,” Schriver said.